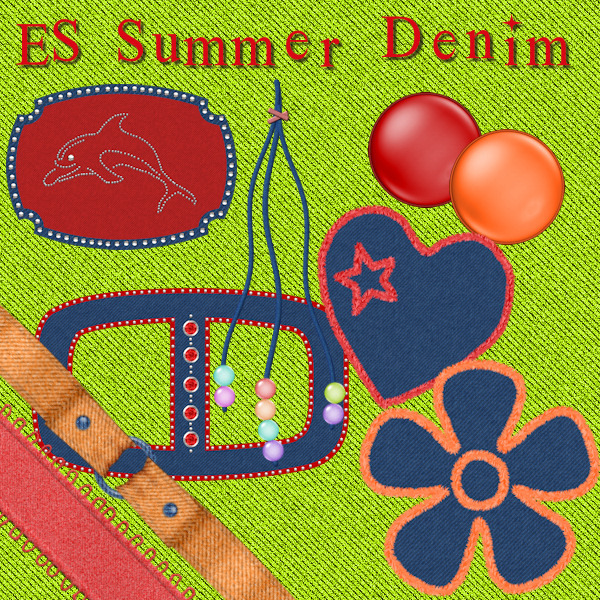 The ~ES Summer Denim Bright~ Pack is a collection of high quality embellishments and fabrics. 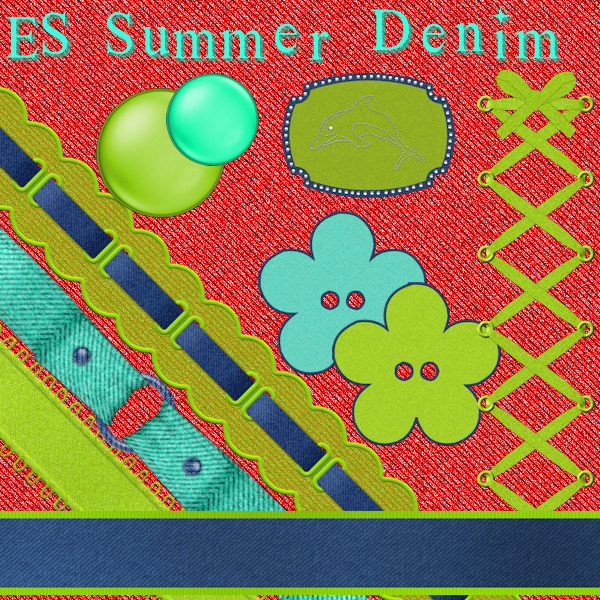 Every item comes in 6 bright summer colors. 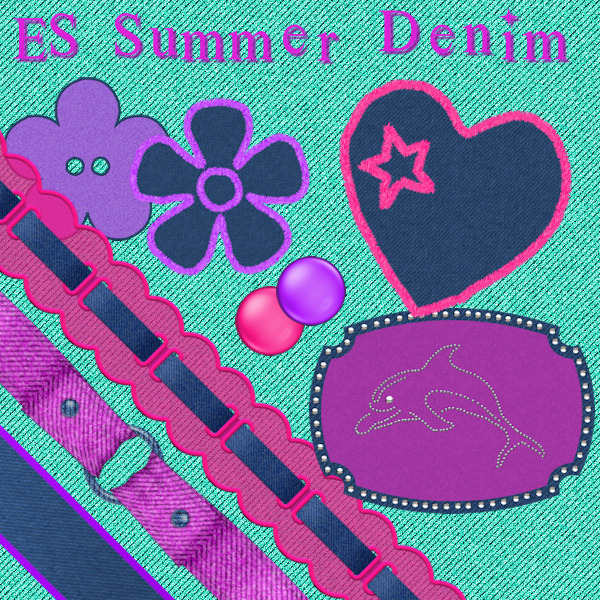 The pack includes buckles, brads, buckled ribbons, buttons, corset ribbons, satin denim ribbons and much more. In total there are 80 embellishments included in this package !! There are also 6 matching fabrics, all seamless, size 1024 x 1024 pixels. The pack can be used for 3d texturing, web graphics, scrapbooking and paper crafting etc for your personal or commercial work. All graphics made in 300 dpi print quality. Package include 5 textures for BedTime shirt, short and socks. No Mats for the teddybear.